Start your day the right way with VitaCup’s Beauty Blend - Gourmet Coffee Infused with Vitamins & Superfoods! Try BEAUTY BLEND with our FREE 4-pod sample pack today! This new beauty hack will have you beaming with high quality, all-star beauty ingredients! 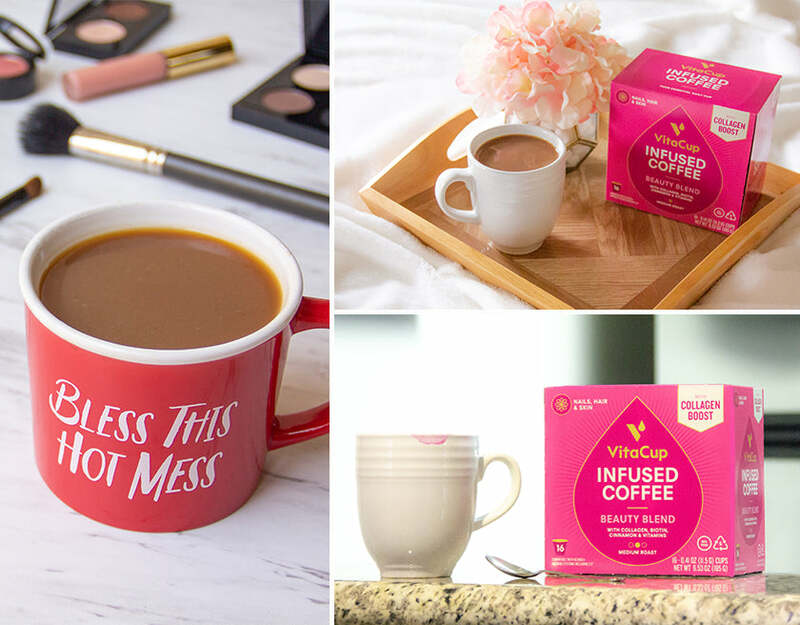 VitaCup is SO confident you’ll love our premium coffee, we’re offering a limited time opportunity to receive our Beauty Blend sampler for FREE. VITACUP BEAUTY BLEND SAMPLER CONTAINS: The finest quality premium Arabica coffee in a Medium Roast, expertly infused with key ingredients for hair, skin and nails. A dynamic duo, which helps your body maintain healthy skin, hair and nails from the inside out. Collagen is a powerhouse protein your body needs to maintain skin elasticity, firmness, and radiance, while B7 plays an important role in the process of healthy hair growth. This vitamin plays an essential role in the body’s creation and maintenance of new cells and tissue growth, which is the starting point for healthy hair, skin, and nails! Sweet and powerful, this super-spice delivers potent antioxidants, which are pivotal in the fight against free radicals. GET YOUR FREE BEAUTY SAMPLER. VitaCup specializes in infused coffees with key vitamins and ingredients. Beauty Blend is a breakthrough to help you get collagen in your coffee so you never forget. Beauty Blend’s combination of collagen plus key vitamins is a BREWtiful combination. It makes your daily beauty regimen as easy as brew, sip, glow! EASE: Skip the beauty gummies, pills, powders, and elixirs. Just drink your morning cup of coffee!